Lazio are closing in on a deal for Sunderland forward Fabio Borini as the club’s major summer overhaul continues. But Sunderland won’t be making a move for Manchester United right-back Guillermo Varela, the Gazette understands. With takeover talks ongoing between owner Ellis Short and a group of German investors, there remains uncertainty around the ownership and manager situation. An ongoing priority is to balance the books and slash the wage bill by shipping out high earners and further players are set to depart - with Borini next in line. Jordan Pickford has already left Wearside for Everton in a deal worth up to £30million, while Jermain Defoe is Bournemouth bound ahead of Sunderland’s return to the Championship. West Ham United and West Bromwich Albion are tracking Lamine Kone, while Vito Mannone, Wahbi Khazri and Jeremain Lens will be in demand. Borini is expected to be the next player out the door, though, with officials at Serie A giants Lazio increasingly confident of landing their man. Sunderland would prefer a permanent transfer but Lazio are keen to secure Borini on an initial season-long loan deal with the option of a permanent move next summer in a deal worth up to £6million. Scottish giants Celtic and AC Milan are also understood to be monitoring Borini’s situation but Lazio lead the way with officials understood to be set to fly to the UK in the hope of thrashing out a deal. While Borini is set to depart Wearside, one player that won’t be heading in the opposite direction is Manchester United right-back Guillermo Varela. National reports suggested Sunderland were weighing up a move for the defender, who could be available for as little as €1million given he only has 12-months left on his deal. But the Gazette understands he won’t be joining Sunderland. Sunderland are also reasonably well stocked for right-backs with Billy Jones and Donald Love on the books, with other areas set to be the priority when the new manager is unveiled. 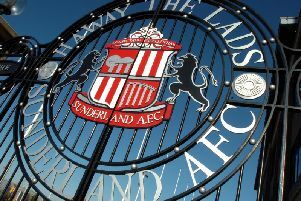 The Sunderland squad is due to return to pre-season training at the Academy of Light on Thursday, with first team coach Robbie Stockdale set to lead training as things stand. Sunderland’s managerial vacancy stretches back five weeks with the ongoing takeover talks hampering the hunt. Former USA and Bayern Munich chief Jurgen Klinsmann and Union Berlin manager Jens Keller have both been tipped to land the job should the German consortium take charge. If the takeover doesn’t go through then bookies favourite Simon Grayson is the leading contender to replace David Moyes. Sources in the North West say as things stand it remains business as usual at Preston North End, with Sunderland yet to make an official approach for Grayson. Short had set a deadline for the end of this month for takeover talks to progress significantly, with the American owner fully aware of the impact it is having on preparations for the new season. Meanwhile, former Sunderland loanee Jason Denayer is a target of French side Lyon. The 21-year-old Manchester City man, who can play in either defence of midfield, made 28 appearances for the Black Cats last season as they were relegated from the top flight.